The Better Government Association (BGA) recently discovered that the CPS program to allocate CTA fare cards for STLS students – Students in Temporary Living Situations – is a huge mess, with many of the fare cards missing or stolen. 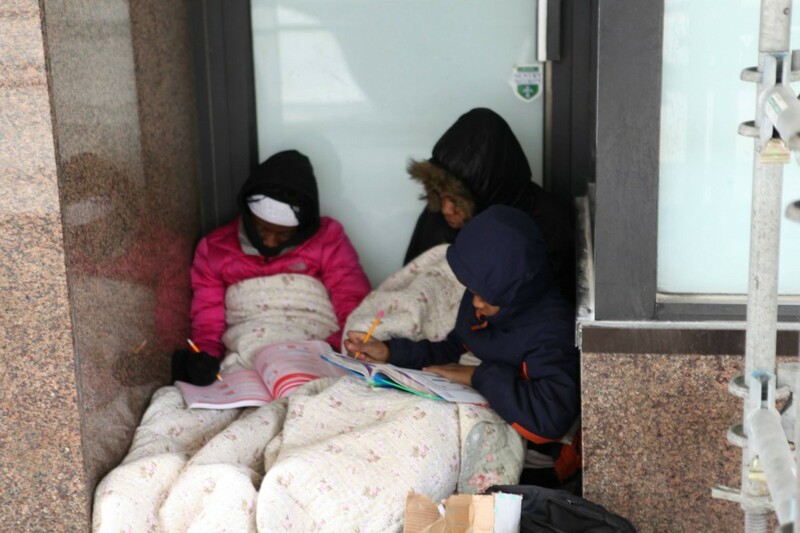 Approximately 5% of students citywide are considered, STLS, a.k.a, homeless. The term has a broad definition to include families that are doubled-up or living in hotels because advocates and researchers have shown that these temporary living situations can be very detrimental to a student’s well-being and ability to succeed in school. For the last two years, 88% of STLS students have been living in doubled-up housing. According to the Chicago Coalition for the Homeless, the number of reported STLS is likely a huge under-estimate of the reality. This is due to the fact that families rarely self-report their transitory living situation or don’t consider it homeless. In many instances, it’s up to school staff to figure it out. Many schools have STLS populations over 20%, and at three schools, more than half of their students are STLS. Properly identifying a student as STLS is critically important to ensuring that the student receives all of the benefits that they legally deserve. One such benefit is the right to remain at their school (CPS calls it their “school of origin”) and to receive a CTA fare card to help them commute every day. Maintaining this stability and relationships with school staff is often a crucial component of the success for students going through this type of hardship. Seventy percent of STLS students receive CTA fare cards to help them travel back to their school of origin which shows how important this connection is for them. Unfortunately, though, CPS’ STLS office has gone through several administrative changes in the last few years (the manager’s position is currently vacant) and schools do not have STLS liaisons who can focus entirely on making sure that the students and their families receive all the assistance they are rightfully due. Instead, schools assign the task for STLS liaison to various staff people as an added duty to their already full work day. This is reprehensible. Instead of helping our most vulnerable students, CPS is wasting time finding ways to prevent students from receiving the benefits they are legally (and morally) allowed? CPS’ solution to their lack of oversight and proper internal controls over the CTA fare cards is to purchase the reloadable Transit cards and put all of the responsibility on the students to not lose them. This is an absurd obfuscation of responsibility that clearly belongs to the administration. Not only are the students young, they are homeless. Adults without the stresses these kids have to deal with lose their CTA transit cards all the time. CPS is setting these kids up for disaster, potentially leaving them stranded somewhere far from where they need to go and unable to call for a ride. No, CPS needs to take responsibility for the $8.7 million they are wasting on an unaccountable system that allows this theft to happen in the first place. One solution to reforming the CTA fare card system that the CTU is fighting for in the current contract is to have a full-time STLS liaison at every school with an STLS population of 20% of the entire student body. Part of this staff person’s job responsibilities would include tracking and allocating the CTA fare cards. For $2.5 million (about ¼ of the current fare card allocation), CPS could hire at least 38 STLS liaisons – enough to staff all the schools whose STLS population is over 20%. That could possibly be the same amount of money that has been lost due to theft and negligence. Sarah Rothschild is a researcher for the Chicago Teachers Union, focusing on privatization, district finances, school facilities, community development and a variety of topics that affect public education. case managers, CPS administration, homeless, STLS. Bookmark.